The nine members of the CNMI Senate would soon hold a caucus to formalize the leadership of the 20th Legislature. Inauguration day, Jan. 9, 2017, is also the Senate’s first session day. There are seven GOP members in the Senate while two ran as independents in the last two elections. Senate President Francisco M. Borja (R-Tinian) said they would hold the caucus after Christmas, less than three weeks before inauguration day. He added that there’s already a “gentleman’s agreement” among the members. Up for grab are the positions for Senate president, vice president, and floor leader. It will be Saipan’s turn for the Senate presidency while a senator from Rota would become the vice president, and Tinian the floor leader. There are reports that Sen. Arnold I. Palacios (R-Saipan) would be the next Senate president. 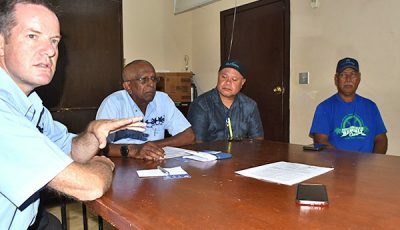 If that is the case, Palacios, a former speaker of the House of Representatives’ 16th Legislature, will become the first elected official in the CNMI to head both chambers. The Senate president, once the leadership had been settled, would appoint chairmen and members to the eight committees: Rules and Procedure; Public Utilities, Transportation and Communication; Judiciary, Government, and Law; Health and Welfare; Fiscal Affairs; Federal Relations and Independent Agencies; Executive Appointments and Government Investigations; and Education and Youth Affairs. 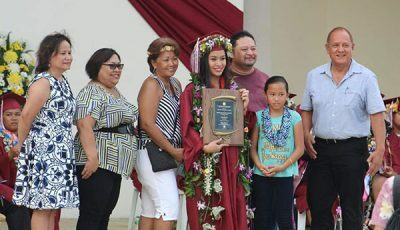 The House already settled their leadership roles last week, with House Speaker Rafael S. Demapan (R-Saipan) retaining his post with the support of the super majority. Representative-elect Janet U. Maratita (R-Saipan) is the presumptive vice speaker, while Rep. Glenn L. Maratita (R-Rota) as the probable floor leader. Edmund S. Villagomez (Ind-Saipan) is the minority leader and he will be joined by Saipan’s other independent Reps. Blas Jonathan T. Attao, Lorenzo I. Deleon Guerrero, Edwin K. Propst, and Vinson E. Sablan. The only thing that’s left to be settled at the House is the heads of the nine committees: Federal and Foreign Affairs; Education; Commerce and Tourism; Rules Ad Hoc; PUTC; Natural Resources; Judiciary and Government Operations; Health and Welfare; and Ways and Means. The House leadership is expected to split some of the committees while creating special ones so the remaining 14 members of the GOP super majority would be part of a particular committee, either as the head or a member. All new and returning members of the House, either Republican or independent, will be given a chance to act as chairman or do their share as a member.